North Tahoe’s Guthrie Goss speeds down the giant slalom course to a second-place finish on Tuesday, Dec. 12. Racing at Mammoth Mountain on Wednesday, Dec. 20 was canceled. For more race photos, visit LefrakPhotography.com. 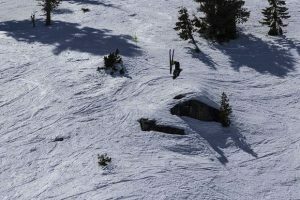 The second race of the high school Alpine season has been canceled, according to a statement from Tahoe Basin League Director Bill Cottrill, due to snow showers and 45 – 55 mph winds with gusts of 85 mph at Mammoth Mountain Ski Area. 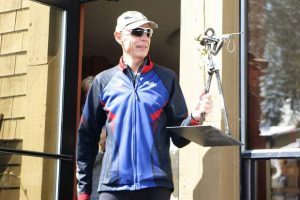 Potential challenges in traveling to and from the event factored into the decision, according to the statement, along with the risk of lift closures at the resort. Many of Mammoth’s lifts have been on a weather hold throughout the day, according to information from the resort. 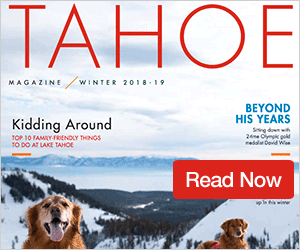 The giant slalom race was scheduled to take place on Wednesday, Dec. 20, and would have featured local squads Truckee, North Tahoe, and Incline. 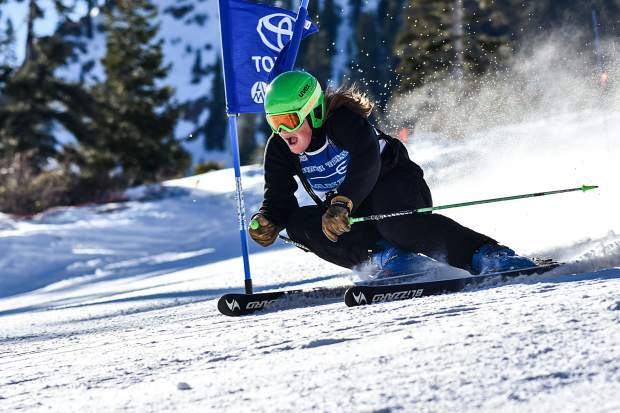 The North Tahoe boys and Truckee girls won the season’s first race at Alpine Meadows.